‘Tis the season for family, friends, and all things PUMPKIN. Pumpkin pies, muffins, cookies, lattes… you get the picture. 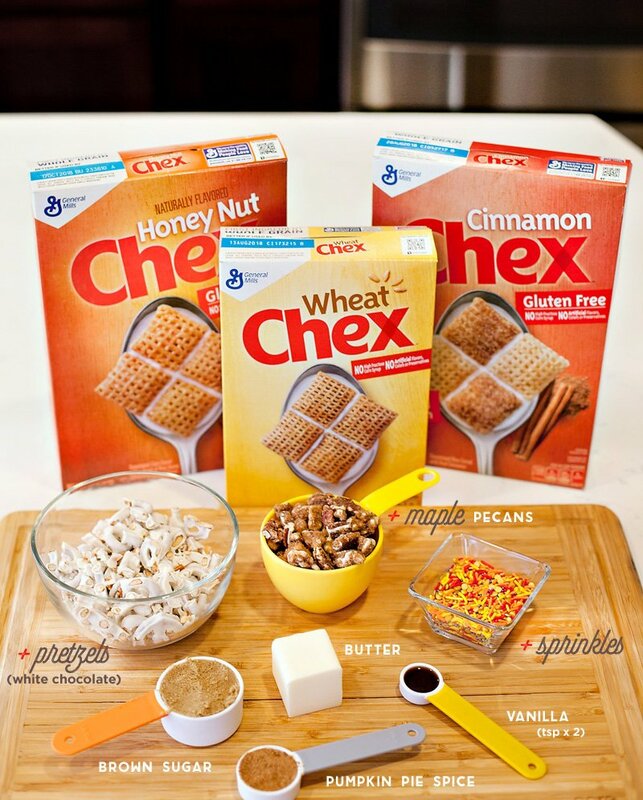 Speaking of which, I’m excited to share another kind of pumpkin-y treat with you today… one that you might be familiar with, but this time there’s a fun twist!a hrefPumpkin Spice Chex Mix is always popular at this time of year, thanks to how fast/easy it is to make AND how tasty it is to eat. Those really are the perfect attributes for a recipe, don’t you think? We’re talking about less time in the kitchen and more time hanging out with your guests! 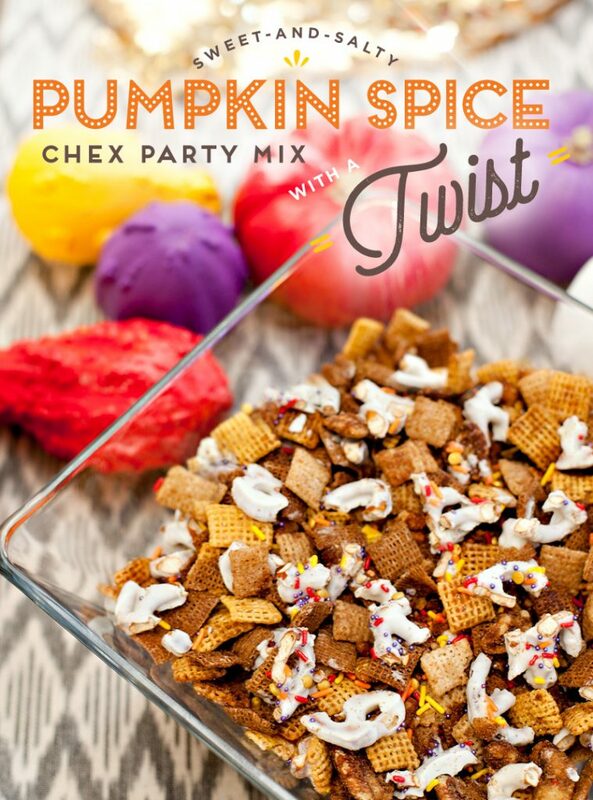 You can find the regular recipe for Pumpkin Spice Chex Mix on their website, but I’ve also teamed up with Chex this holiday season to share my own spin on it! With 2 additional ingredients + one ingredient swap, my own version of Pumpkin Spice Chex Mix is still quick and easy to make, just like the original. 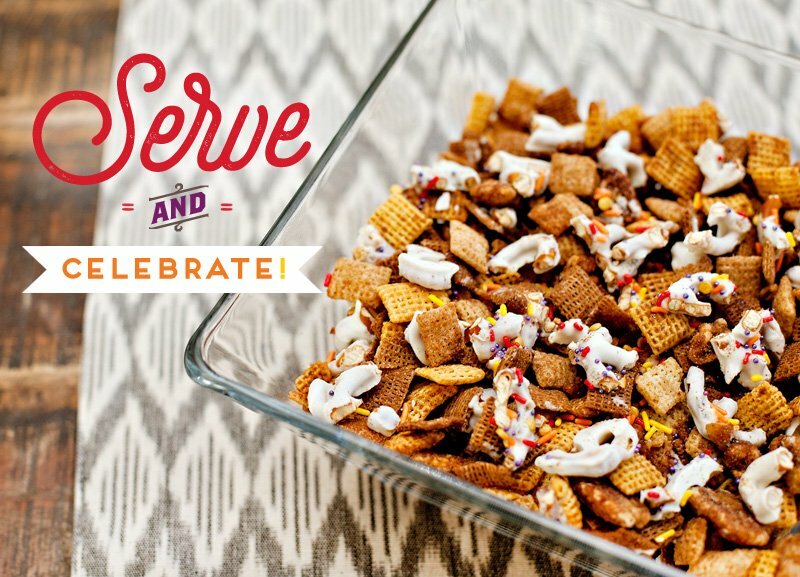 You’ll find an extra punch of sweet/salty flavor + a big splash of color… you might even say I added a bit more “party” to this party mix. 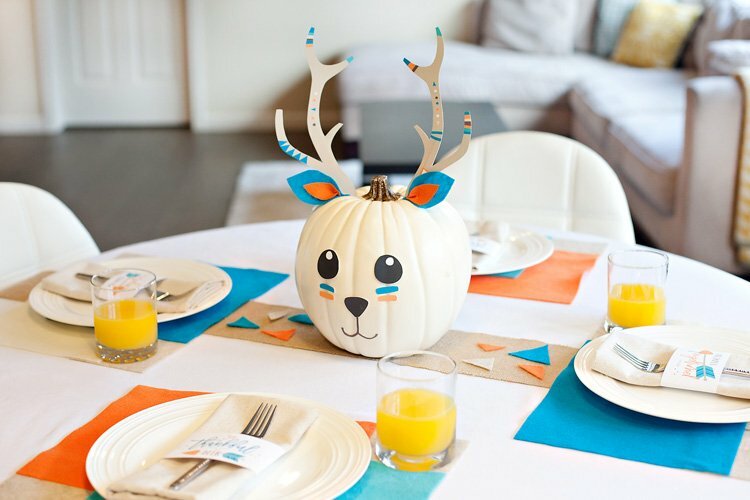 ;) Who says fall celebrations have to be just neutrals and earth tones all the time, anyways?! In the image above, the items in the script font indicate what’s new. I swapped out (store-bought) maple glazed pecans for the regular pecans, then added chopped white chocolate pretzels & sprinkles in bright autumn colors. After the main party mix recipe is finished, spread it out on wax paper to cool. Let it sit for about 3 minutes, then sprinkle the chopped white chocolate pretzels evenly across the top. Note: It’s important to wait a few minutes before adding the pretzels, because if the mix is TOO hot, the white chocolate coating may melt off too quickly. After the pretzels have been added, it’s time for sprinkles! The sprinkles should stick to both the (still wet) cereal mixture and the white chocolate pretzels, since the coating on the pretzels will start to warm right when they touch the mixture. 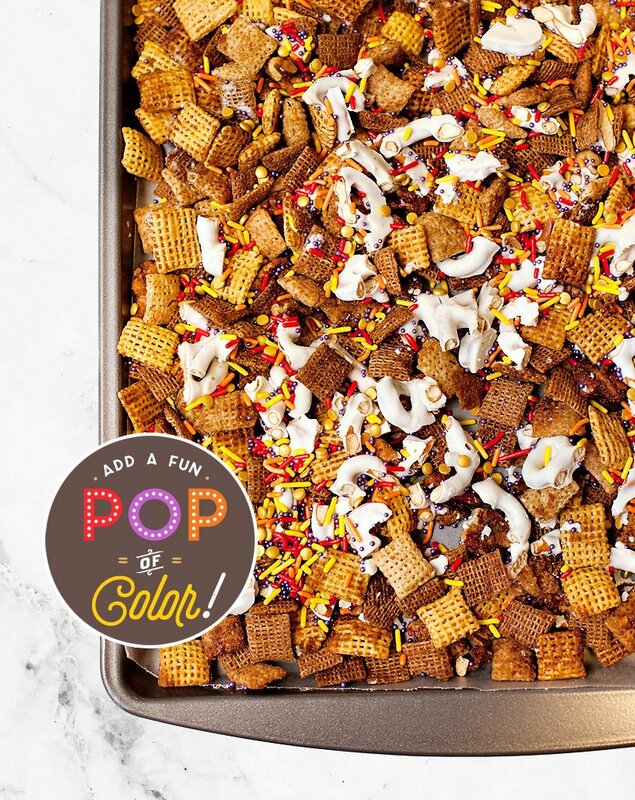 Now this party mix LOOKS like a party, too! Bright colors always speak to me, so I went with a vibrant red, orange, yellow, purple, and gold for the sprinkles. 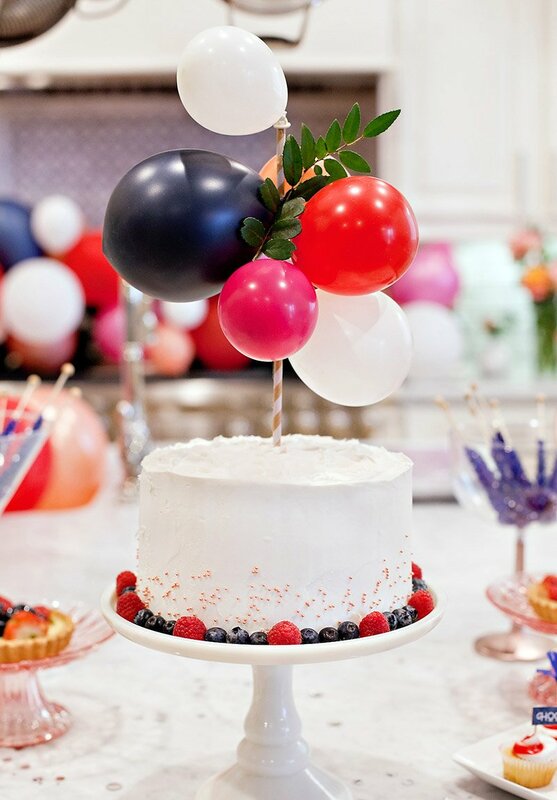 However, you can use whatever colors you personally love or have on hand. If you want to give your mix a decidedly “fall” feel, there are even sprinkle mixes available at this time of year that are shaped like leaves, pumpkins, etc. Let the mixture cool, then it’s ready to serve! 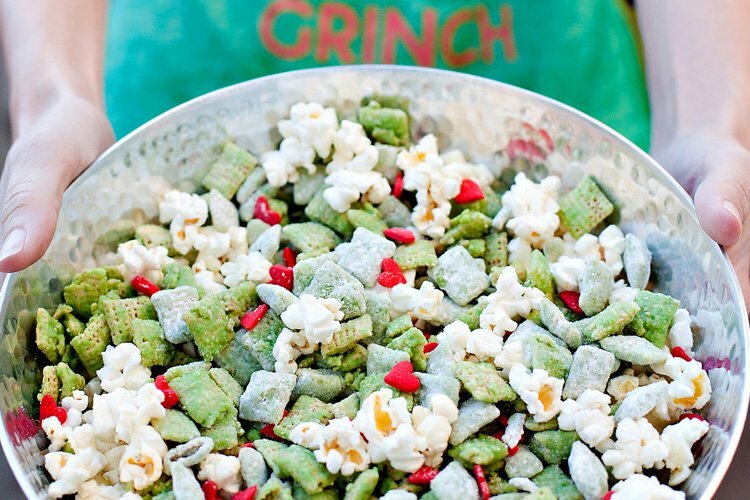 You might want to make a double batch of this though, because it’s going to go quick. 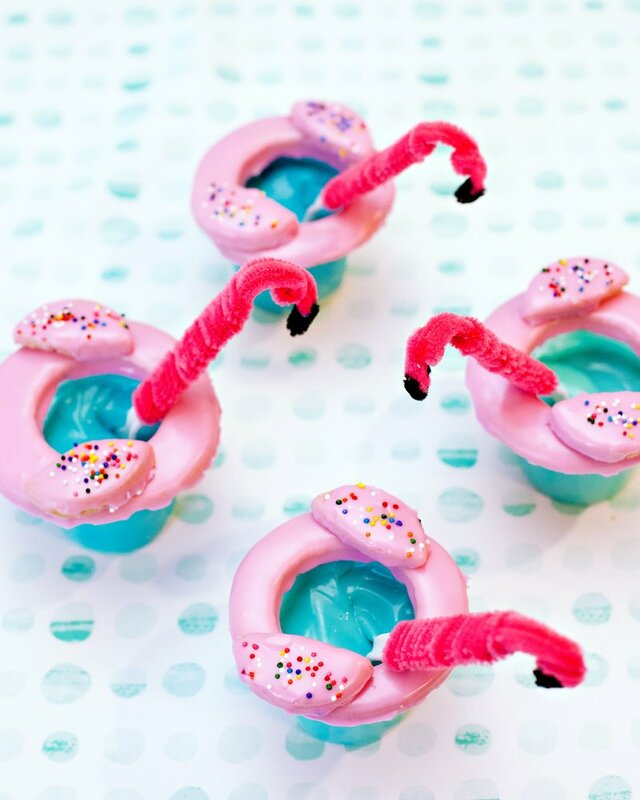 ;) You can also store it in an air-tight container for up to 2 weeks. Enjoy! In a small bowl, mix brown sugar and pumpkin pie spice; set aside. In a small microwave-safe dish, microwave butter on High about 30 seconds or until melted. Stir in vanilla. 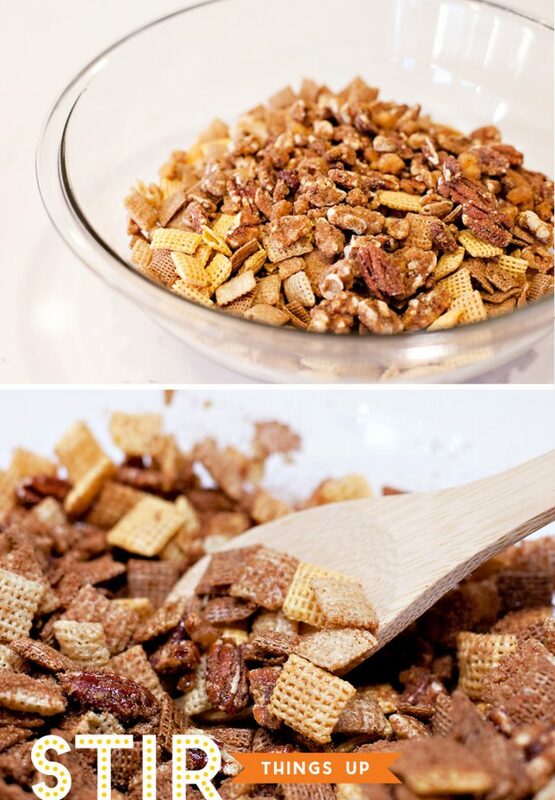 In a large microwavable bowl, mix all cereals and pecans. Pour butter mixture over cereal mixture, stirring until evenly distributed. Add sugar and spice mixture and stir until coated. Microwave uncovered on High 5 minutes or until mixture begins to brown, stirring every minute. Spread on wax paper or a cookie sheet. Let cool for 3 minutes. 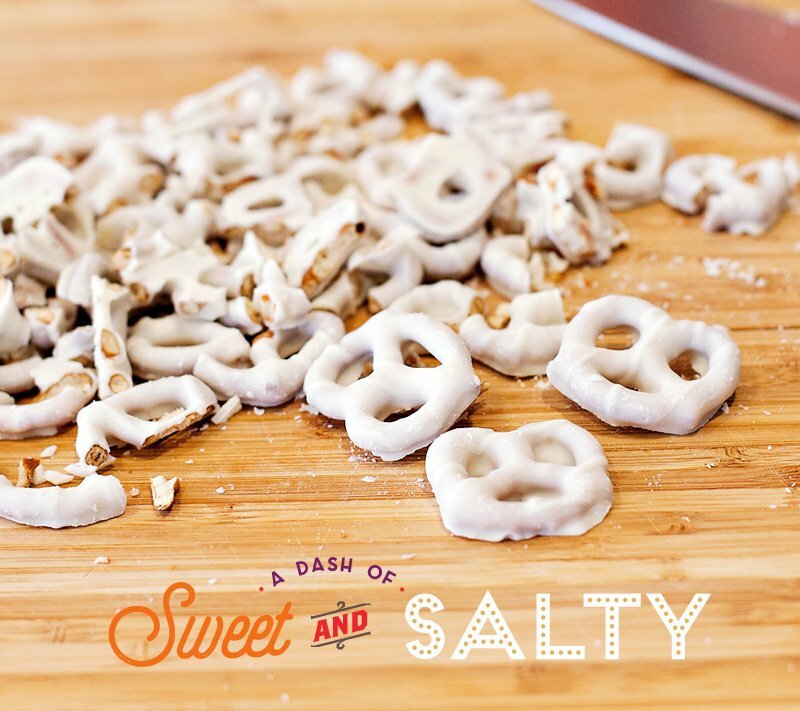 Spread chopped pretzels evenly across the mixture. Add sprinkles evenly across the mixture. Store in an airtight container. Disclosure: This post is sponsored by Chex. 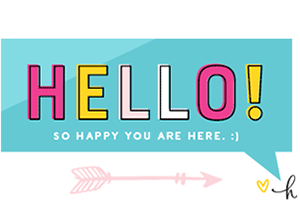 As always – all thoughts, opinions, and designs are my own. Thank you so much for supporting the companies that make it possible for me to keep the creative content coming your way!